I’ve been wanting to share this project with you for a very long time! 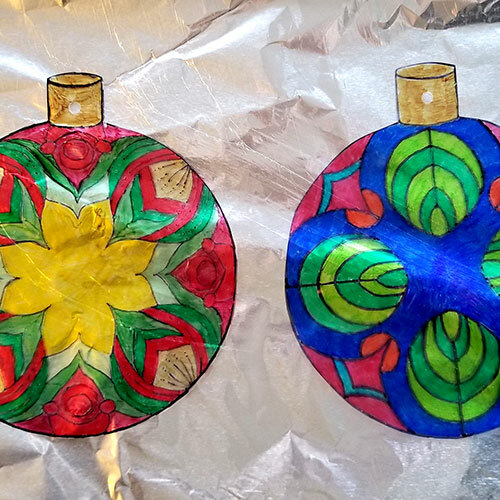 I’ve always loved playing with Shrinky Dinks, and I love making ornaments. 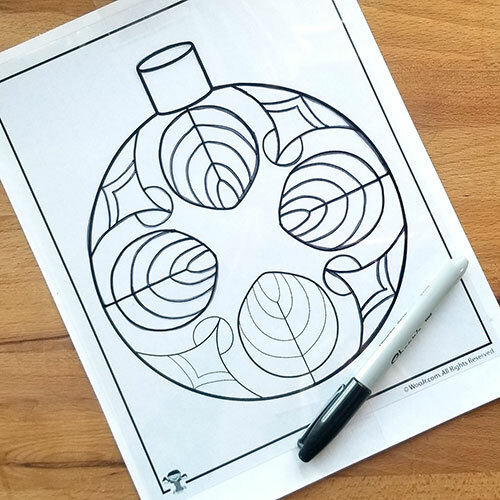 This is a great project for a tween or teen who loves adult coloring pages – in fact, the idea for this project came to me when posting the Christmas mandala coloring pages and I thought they’d be so beautiful as stained glass suncatcher ornaments. 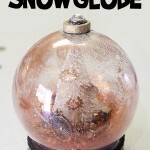 They would also be very difficult to draw on plastic because they are so intricate. So I created some slightly simpler versions below that would be easier to trace. Below are four templates of varying difficulty for you to trace. 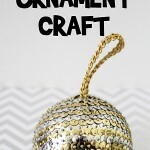 Alternatively, you could simply trace the shape of the ornament (circle + top cone) and decorate your ornament in any way you choose! 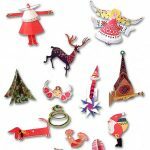 You’ll need Shrinky Dink plastic – if you prefer a glossy finish, you’ll need to use Sharpie markers to color (other brands didn’t work nearly as well). If you prefer a matte finish, you can use Sharpies OR colored pencils! 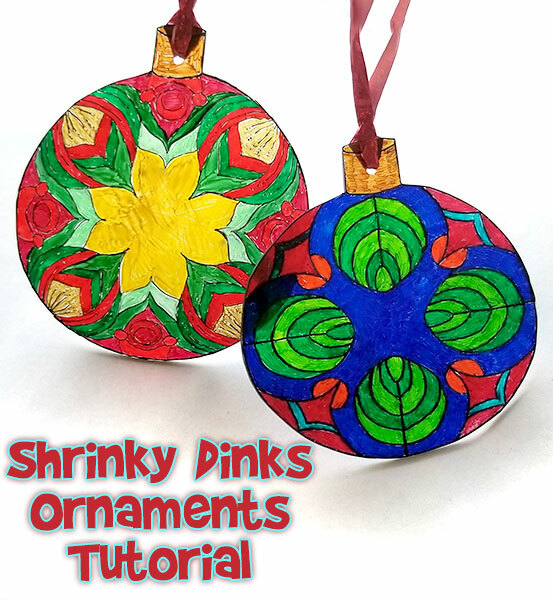 Print out your chosen template and tape the Shrinky Dink sheet to the top so that you can trace it easily without it moving around. Use a black thicker point Sharpie to trace the design first. 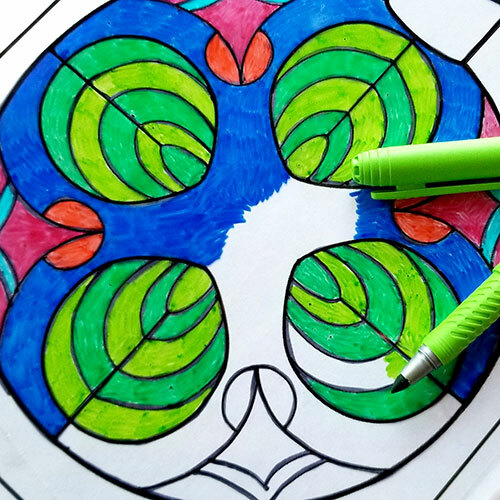 Once you’re done tracing the design, I recommend that you flip over the plastic and color in the areas on the opposite side. I found that even after the ink is “dry”, coloring over it with a wet marker just ‘melts’ it all over again, and colors will mix in ways you might not want them to mix. 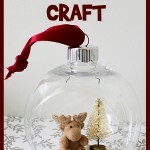 Once you’re done, cut out the ornaments and use a hole punch to put a hole in the top. You must do this part now, because you can’t put a hole in the plastic after it has been shrunk! Then place it on a cookie sheet lined with tin foil and cook according to the package directions (325° for 1-3 minutes). This part MUST be supervised by an adult – in fact, I had a few issues with the plastic not melting evenly and I needed to pull them out half way through the process and un-stick them from themselves. Use a pair of tongs to do this because the plastic gets hot FAST. 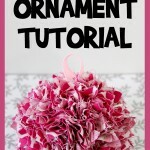 You might also need to use a metal spatula to help flatten them out at the end. But after it’s all done, they are SO PRETTY! 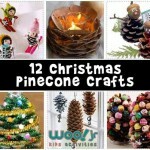 You might want to hang them in a window instead of on the tree because they glow like crazy when backlit!